The Coffee Scoops are made of high quality 18/10 stainless steel with mirror finish, rust proof, antioxidant, heat resistant, dishwasher safe, premium material, sturdy and durable. 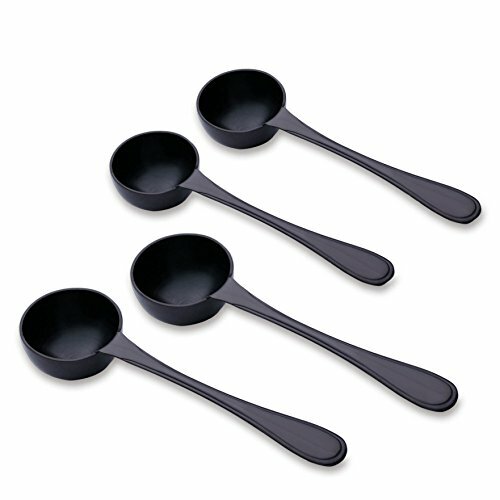 This black Measuring Spoon take all the guesswork out of your daily measuring needs (PRECISE MEASUREMENTS). [ HIGH QUALITY & WELL MADE ] - The Coffee Scoop is made of high quality 18/10 stainless steel and more durable. Heavy, solid, well made, attractive. Modern & well-balanced proportions to seek good touch feeling .The color black made it stands out and is unique.